Sherfab was founded in 1977 with the vision of supplying the small fabricator with quality materials at a reasonable price. In addition, assisting the fabricator with technical expertise and industry-leading customer service. Sherfab is a locally owned, American family-owned business that has now become a regional retailer / wholesaler that is recognized in the industry for our quality products, competitive pricing, and exceptional technical knowledge to help not just the small fabricator but ALL fabricators who are interested in learning new ideas, processes, materials, equipment, and techniques. Sherfab inventory is extensive in all raw material products ranging in composite resins, and curing agents, reinforcements, tooling materials and shop supplies. Sherfab has developed a special relationship with a specialty surface coating and gelcoat supplier. 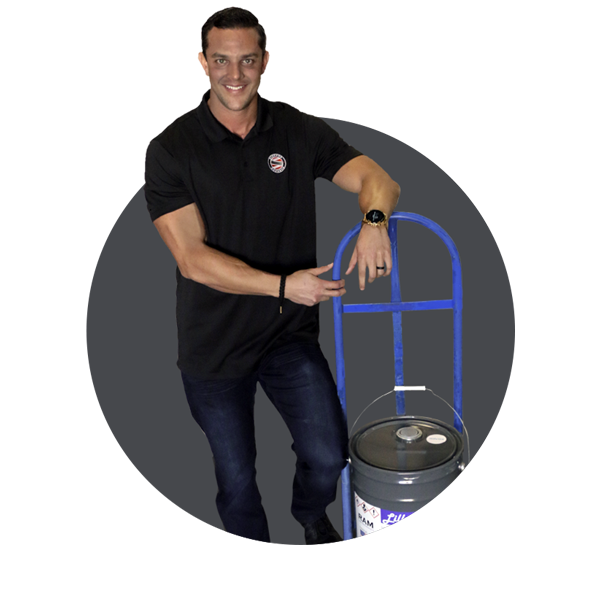 Our turnaround on a custom color matched gelcoat is less than three days with any color on their color chart or any color chip provided by the customer. 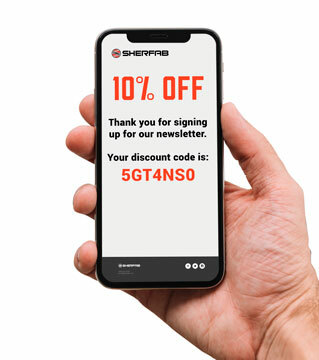 Sherfab Customer Service personnel are ready and happy to assist you with information, order processing and delivery options that will keep your project moving forward, profitably and on time. Sherfab has developed a website store as well as a bricks and mortar store. Both are places where our customers and clients can visit and discuss in a comfortable environment with our technical personnel their projects, obstacles, challenges and successes. Sherfab believes in the continuity of education and training. We are recognized as a generous supporter of high school and college non-profit programs, training new engineers for the future of our industry. We continually train young adults in house to prepare them for production and or sales positions. Sherfab forges Stronger Relationships, realizes Higher Performance, and delivers Greater Profits to our customers and clients. The Sherfab family invites you to join us and learn how pleasant, fun and simple it is to conduct business with us. Call us now at (909) 923-2200. One of our Pro Tip experts is ready to help get your project on track with the right combination of products. If you are new to composites or a seasoned veteran there are always questions to be asked. We take pride in helping our customers choose the right combination of products for their individual product and to achieve the best results. We have composite experts on staff to answer any of your questions. Please call us 8AM - 5PM PST, Monday through Friday and just ask for ProTip help.